Love him or hate him, it&apos;s hard to deny that Michael Vick is one hell of a force on the gridiron. While his off-field antics have tarnished his reputation, Vick&apos;s managed to redeem himself as a member of the Philadelphia Eagles. The 9-6 Eagles will hit the road to face the Dallas Cowboys this Sunday, and it&apos;s looking like they have a good chance at taking home the NFC East title. It&apos;s been confirmed that Tony Romo will miss Sunday&apos;s game, which takes a lot out of the Dallas offense. Although Romo has struggled this season, going into the biggest game without your star QB is enough to take the wind out of a team&apos;s sails. Don&apos;t be surprised if Vick and the Eagles take the NFC East. Christmas Ever isn&apos;t traditionally known for big sports moments, but on December 24, 2006, Michael Vick made history by becoming the first quarterback to reach 1,000 rushing yards in a single season. Although his Atlanta Falcons fell 10-3 to the Carolina Panthers, Vick made history, setting a record that has yet to be matched. 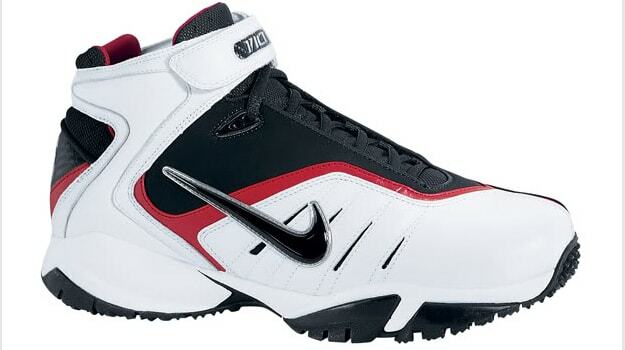 Do you remember Michael Vick&apos;s signature line with Nike? The popular cross-trainers made it all the way to their fourth rendition, the Nike Zoom Vick IV, before Vick&apos;s legal troubles caused the Swoosh to pull the plug. A Zoom Vick V was also in the works, but was never released.